Thank you, Editors, for this opportunity to reflect on the circumstances, motivating forces and memorable events associated with 15 publications in the Journal of Ecology involving numerous co-authors. It is a particular pleasure to acknowledge support we have received from several generations of editors and reviewers of the Journal. The papers have been arranged in chronological order but I have chosen to comment on them in small groups and to insert short headings that seek to summarise the long-term objectives and developing philosophy of the Unit of Comparative Plant Ecology (UCPE) and its successor, the Buxton Climate Change Impacts Laboratory (BCCIL). 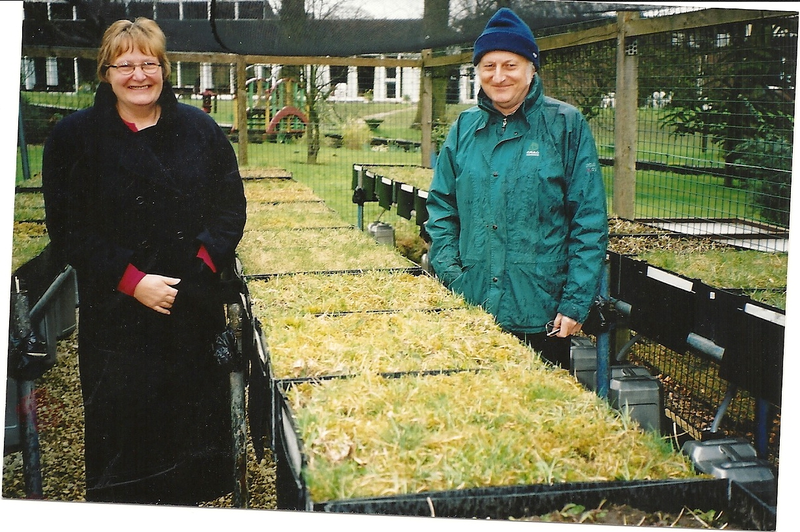 As a post-doc in Sheffield in the early 1960’s and subsequently as an ecologist at the Connecticut Agricultural Experiment Station I was fascinated by the problem of how to characterise the ecology of large numbers of plant species to provide a succinct and orderly basis for investigating how communities assemble and can be managed and conserved. Already Roy Clapham (Head of Department of Botany at Sheffield) had initiated the Biological Flora of the British Isles that was compiling accounts of the field ecology and biological attributes of species in the Journal of Ecology. This “one species at a time” approach was an admirable agenda in many ways but failed to rapidly address the effects of increasing pressures of changing land-use and pollution on a declining British flora. 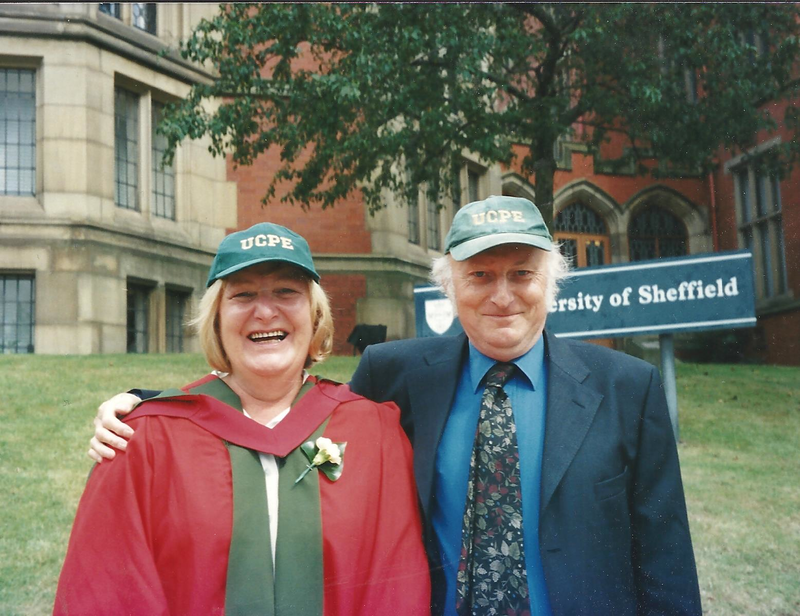 By the time I returned to Sheffield in 1965 my mind was focussed on a simple plan—we could use controlled environment facilities to establish, on a statistical basis, how traits suspected to be critical determinants of plant ecologies varied across species and in relation to variation in other important traits. Independently of this activity but in parallel, we would conduct large-scale surveys to document the field ecology of species and the composition of plant communities in an area of 3000 km2 in north centralEngland. Using this two-pronged approach our objective would be to recognise recurrent sets of trait values (plant functional types) under standardized lab conditions and to examine their role in the assembly and functioning of plant communities. In view of the unconventional and arduous nature of the plan that I was pressing upon colleagues it was necessary that I was “active within both prongs” particularly when the scale and repetitive nature of both the lab and the field operations became evident. Here, therefore, it is appropriate to record my gratitude to Ian Rorison, Nuala Ruttle and later, Rod Hunt, as they shouldered the administrative burden allowing me to concentrate on lab and field commitments. 1 ) Grime, J.P. & Jeffrey, D.W. (1965) Seedling establishment in vertical gradients of sunlight. Journal of Ecology, 53, 621-642. 2) Grime, J.P., Macpherson-Stuart S.F. & Dearman, R.S. (1968) An Investigation of Leaf Palatability Using Snail Cepaea nemoralis L. Journal of Ecology, 56, 405-420. 3) Grime, J.P. & Hunt, R. (1975) Relative growth-rate – Its range and adaptive significance in a local flora. Journal of Ecology, 63, 393-422. 4) Grime, J.P., Mason, G., Curtis, A.V., Rodman, J., Band, S.R., Mowforth, M.A.G., Neal, A.M. & Shaw, S. (1981) A Comparative-Study of Germination Characteristics in a Local Flora. Journal of Ecology, 69, 1017-1059. Laboratory screening of traits on large numbers of species has been a frequent activity at UCPE for more than four decades and remains a valuable tool for recognising patterns of functional specialisation and their underlying constraints and tradeoffs. However, I am sometimes deflated when I see our hard-won screening data incorporated into meta-analyses. Larger data-sets do not always add greater assurance if they rely upon a hotchpotch of methods or, worse, subjective exclusion of data. In a historical perspective, Paper 4 was the most important screening operation conducted at UCPE. It provided estimates of relative growth rate across 135 species most of which were native plants of common occurrence in inland Britain. This long (4year), and laborious study vindicated the two-pronged approach in that the significance of the results emerged by synergy with the distributional data from the field surveys. Inherently slow-growing species were associated with various kinds of infertile, unproductive habitats and fast-growers were restricted to productive soils. A further synergy between lab and field was apparent. The fast-growers fell into two categories. The first consisted of ephemerals of disturbed habitats and the second was made up of robust, often clonal species. Recognition of this widespread pattern was directly responsible for the development of the CSR theory of primary functional types (Grime 1974). Two papers (1,7) in this group have not achieved the status of paper 4 but can now be recognised as early contributions, alongside those from Harper, King, Roberts, Westoby, Fenner, Grubb,The Baskins, and many other experts who have brought our understanding of seed and seedling ecology to a point where both are key components of what Grime and Pierce (2012) now describe as the proximal filter of plant community assembly. The remaining paper in this group (paper 2) established the value of snails in comparative assays of leaf palatability. This paper also prompted the use of these creatures to track food chains in contrasted grasslands at the Winnats Pass (Grime and Blythe, J E, 1968). They may eventually provide techniques with which to assess the relative importance of herbivores and decomposers in ecosystems. 3) Lloyd, P.S., Grime, J.P. & Rorison, I.H. (1971) Grassland Vegetation of Sheffield Region .1. General Features. Journal of Ecology, 59, 863-886. 8) Sydes, C. & Grime, J.P. (1981a) Effects of Tree Leaf Litter on Herbaceous Vegetation in Deciduous Woodland. 1. Field Investigations. Journal of Ecology, 69, 237-248. 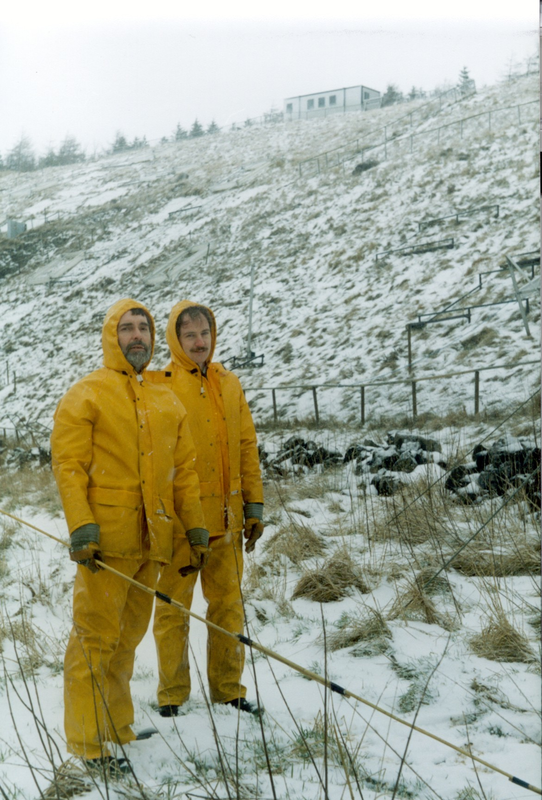 Paper 3 co-authored by the three founder members of UCPE was the first to emerge from a series of vegetation surveys that continued into the 1980’s, making the 3000 km2 areaaround Sheffield the most thoroughly described flora in Inland Britain. This first survey was composed of 657 1-m 2 samples positioned at random and at a standardised density in old grasslands distributed across the 5 major geological strata of the region. Already in relation to Group1 it has been explained that the primary objective of the surveys was to use them in conjunction with data from the screening of variation in traits across the local flora. This interaction between field and laboratory sources provided numerous insights into the ecology of species and plant communities and was directly helpful in conservation and management. We continue to pursue this research strategy and with the completion of two further surveys the database has swollen to a total of approximately 10,000 samples now curated by John Hodgson in Hathersage, a village close to Sheffield. Of course, in addition to my “two-pronged” aspirations these field data are increasingly valuable in their own right as a detailed record of “how plant communities used to be” and it is exciting to report that recently Carly Stevens and John Hodgson have resurveyed grasslands first visited and recorded by UCPE in 1965. 5) Al-Mufti, M.M., Sydes, C.L., Furness, S.B., Grime, J.P. & Band, S.R. (1977) Quantitative-Analysis of Shoot Phenology and Dominance in Herbaceous Vegetation. Journal of Ecology, 65, 759-791. 6) Thompson, K. & Grime, J.P. (1979) Seasonal variation in the seed banks of herbaceous species in 10 contrasting habitats. Journal of Ecology, 67, 893-921. Not all of the data we needed from the field could be obtained on the basis of single visits by the recording team. There was a particular need to document the seasonal behaviour of shoots and seeds. 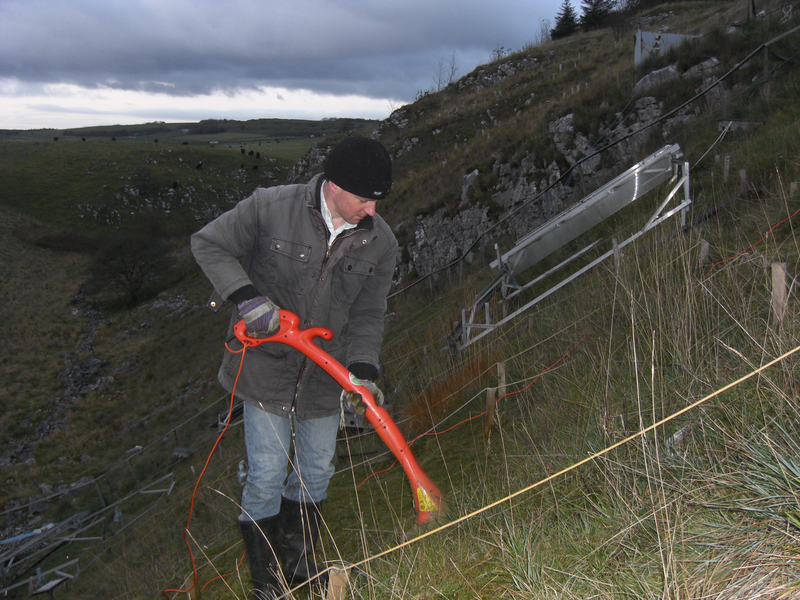 This could not be done at the scale and with the intensity of the vegetation surveys. Instead, we mounted two projects in each of which sampling was conducted throughout the year from a set of contrasted communities broadly representative of soil types and disturbance regimes widely distributed within the survey area. At intervals throughout the year both the seed phenology team and the shoot phenology team applied “hit and run” tactics. In order to maintain such intensive programmes, commando-style planning and execution was necessary to minimise delays in tight sampling schedules. In the seed sampling work our sites provided an extraordinary range of conditions extending from the undisturbed charm of Bellamy’s Bank in Millersdale (mentioned in Izaak Walton’s The Compleat Angler (1653) to the various challenges of Orgreave Cinder Tip. Ken Thomson wrote about Orgreave in, paper 6, page 897 commenting that “The site suffered occasional burning and continual disturbance by small boys”. And yes, that’s right–this is where the striking miners, the police and their horses later added to the disturbance factor. 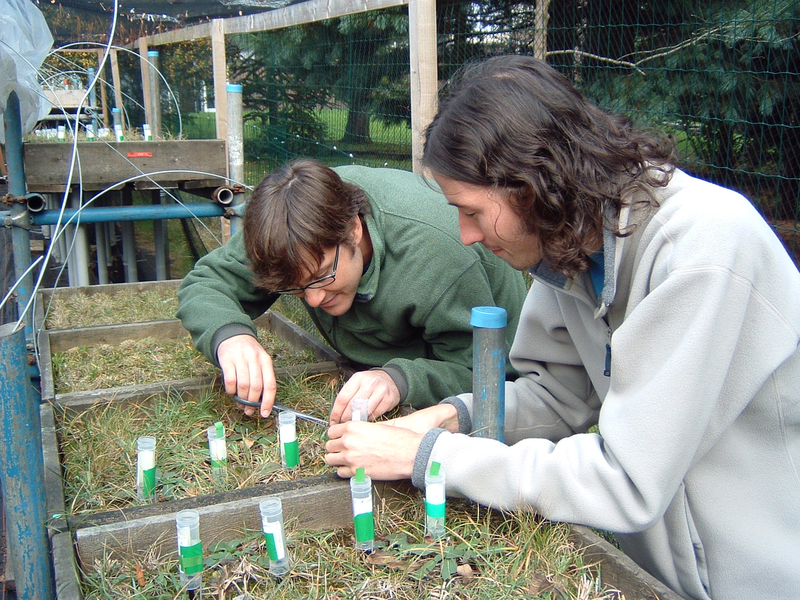 Although the commando- style seasonal sampling by the shoot phenology team closely resembled that of the seed-bank specialists, there were few similarities in the associated laboratory work. The task of sorting plant fragments into species, followed by oven-drying and weighing, absorbed much of the time between sampling occasions. However, this effort was fully justified by results that confirmed and quantified a humped relationship between rising shoot biomass + litter and species richness that has been subsequently recorded on numerous occasions in many parts of the world. 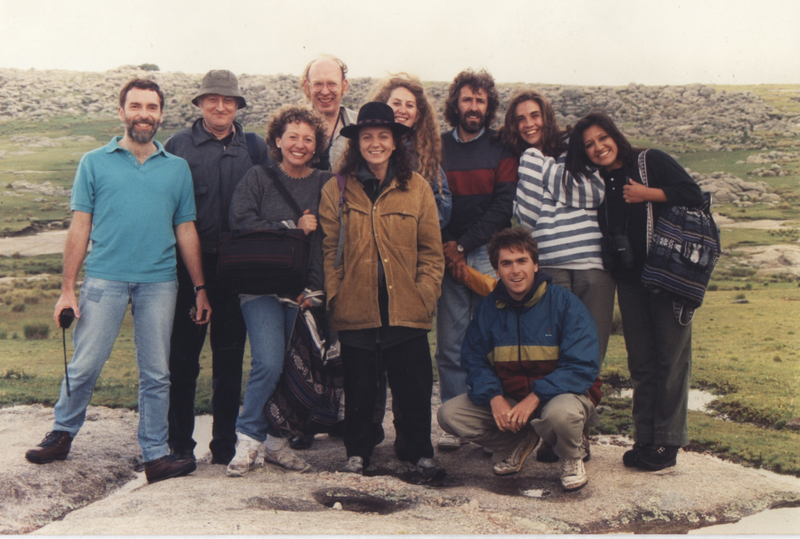 In the 1980’s Bob Peet at the University of North Carolina invited researchers in various labs around the world to collaborate in a network of field experiments in which we would seek to explain the basis of coexistence in species–rich grasslands. At that time most of the clues about coexistence derived from theoretical models or field experiments in which species-rich communities were subjected to resource manipulations or treatments that simulated various kinds of vegetation management. I recognised what had been achieved but concluded that there were limits to further progress using such approaches. Manipulations of ancient, complex ecosystems with incompletely known histories have the potential to set in motion chain reactions that may be hard to follow and have scant relevance to the functioning of real ecosystems. Against this uncertain background I decided to conduct a radically different experiment in which simplified ecosystems would be allowed to assemble from seed under controlled conditions and we would examine the consequences for community development of “leaving something out” in order to assess its importance. 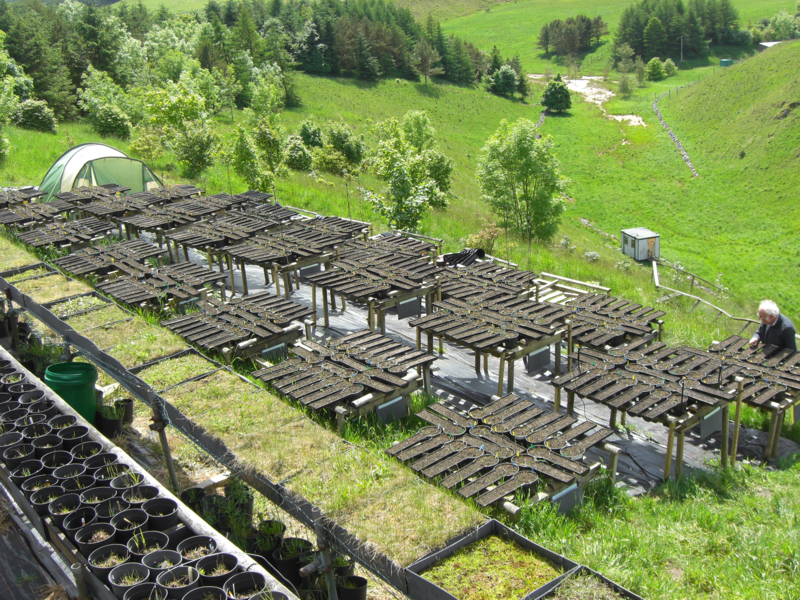 The “something” in this experiment consisted of arbuscular mycorrhizal fungi. The differences between infected and control communities after one year were sufficient even for Nature (Grime et al,1987) but this episode is etched into our memories for another reason. Twenty-four hours after the experiment was harvested on the 7th floor of the Biology Building our growth room was incinerated by an electrical fault, two staff were briefly trapped between floors in an adjacent lift and order was restored by the Sheffield fire service. 9) Sydes, C. & Grime, J.P. (1981b) Effects of Tree Leaf Litter on Herbaceous Vegetation in Deciduous Woodland .2. An Experimental Investigation. Journal of Ecology, 69, 249-262. 11) Fraser, L.H. & Grime, J.P. (1999) Interacting effects of herbivory and fertility on a synthesized plant community. Journal of Ecology, 87, 514-525. 13) Booth, R.E. & Grime, J.P. (2003) Effects of genetic impoverishment on plant community diversity. Journal of Ecology, 91, 721-730. 14) Fridley, J.D., Grime, J.P. & Bilton, M. (2007) Genetic identity of interspecific neighbours mediates plant responses to competition and environmental variation in a species-rich grassland. Journal of Ecology, 95, 908-915. 15) Whitlock, R., Grime, J.P., Booth, R. & Burke, T. (2007) The role of genotypic diversity in determining grassland community structure under constant environmental conditions. Journal of Ecology, 95, 895-907. After this baptism of fire, synthesis of ecosystems in microcosms has become a constant feature of our research, but I have no hesitation in nominating papers 13,14 and15 as the ones that most completely exemplify the virtues of this approach particularly where (as with so many staff at UCPE and BCCIL over the years) it is in the hands of talented and dedicated scientists. Rosemary Booth (paper 13) led the way in this extraordinary and eventually successful effort to demonstrate the deleterious impact of genetic impoverishment on the species diversity of limestone grassland. Remarkably, even before this 5-year experiment could start it was necessary for her to develop and apply cloning techniques to produce the large stocks of genetically identical individuals, required to synthesise communities with controlled levels of genetic diversity. A long phase of community maintenance and recording was then required before colleagues Whitlock (paper 14) and Fridley (paper 15) could bring their particular skills to the party. In retrospect, without formal attachment to any particular framework, there were earlier Journal of Ecology papers that used synthesised communities in our laboratory. In paper 9 the contrasting abilities of woodland plants of differing shapes, sizes and phenology were compared in terms of their capacity to penetrate through layers of tree litter in synthesised communities. Synthesised communities allowed to develop in the presence and absence of invertebrate herbivores on rich and poor soils have been used by UCPE to question David Tilman’s assertion (Tilman 1982) that the success of stress tolerators on infertile soil relates to their superior ability to absorb limiting nutrients from low external concentrations. An alternative explanation is reported in paper 11 where it is shown that the persistence of stress tolerators on poor soils relates to their stronger resistance to herbivores. As our study records, the promotion of stress tolerators by herbivores can be artificially extended to more fertile conditions provided that potential predators of the herbivores are excluded from the microcosms. 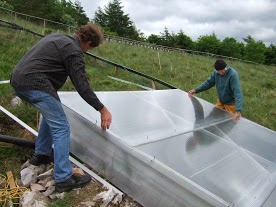 One of the current objectives of research at the Buxton laboratory is to establish by experiment the relative merits and weaknesses of (a) climate manipulations applied directly to natural ecosystems and (b) manipulations of ecosystems synthesised and simplified in microcosms. Our provisional conclusion is that both are essential to achieving an appropriate balance between preserving contact with reality and analysis of mechanism. In other journals (Ecology 1965, Oikos 1993) I have expressed the view that the ultimate destination of Ecology should be for it to become a distinctive, compact, predictive science capable of scaling up to community, ecosystem and global perspectives. I hope that the papers collated and commented upon here adequately explain my convictions concerning the best route to this destination. Ecology cannot assume a place in the front rank of sciences addressing environmental and human problems unless it establishes reliable generalisations about how organisms function within ecosystems, cause them to vary from place to place, and allow them to suffer degradation under specific human pressures. Vapid, abstract theorising about supposed general benefits of high biodiversity may bring temporary consolations to those worried about food security, declining resources and dwindling populations but they are no substitute for systematic development and testing of ecological theories of wide ambit such as those examined in papers 10 and 12. The enduring strength of the Journal of Ecology over many years resides in testable, evidence-based science. Long may it continue! Walton I, (1653) The Compleat Angler. By T. Maxey for R. Marriot, London. Grime J.P. (1965) Comparative experiments as a key to the ecology of flowering plants. Ecology 54, 513-515. Grime J.P. and Blythe G.M. (1968) An investigation of the relationships between snails and vegetation at the WInnats Pass. Journal of Ecology 57,45-66. Grime J.P. (1973) An Ecological Atlas of Grassland Plants. Edward Arnold, London. Grime J.P. (1974) Vegetation classification by reference to strategies. Nature 250, 26-31. Tilman D. (1982) Resource competition and community structure. Princeton University Press, Princeton. Grime J.P.,Mackey J.M.L., Hillier S.H. and Read, D.J. (1987) Floristic diversity in a model system using experimental microcosms. Nature 328, 420-422. Grime J.P. (1999) Ecology sans frontiers. Oikos 68, 385-392. Grime J.P. and Pierce S. (2012) The evolutionary strategies that shape ecosystems. Wiley/Blackwell, Chichester. December 16, 2013 in Announcements, Ecological Inspirations, Eminent Ecologist.